When Denmark gets a new Superliga next month, it won’t be the likes of Viktor Fischer, Paul Onuachu and Kamil Wilczek attracting the fans. Instead, the competitors will be sitting behind screens competing in the popular game ‘FIFA 19’. The Danish Superliga has teamed up with eSports firm DreamHack and the media company Discovery Networks Danmark to launch a ‘eSuperliga’ – and every team in the real Superliga (bar FC Nordsjælland) will have a team taking part. “We are very proud finally to reveal the eSuperliga. Several Superliga clubs have been involved with eSports for some time, while it is completely new for others,” said Claus Thomsen, the head of the Divisionsforeningen division association, which operates the Superliga. 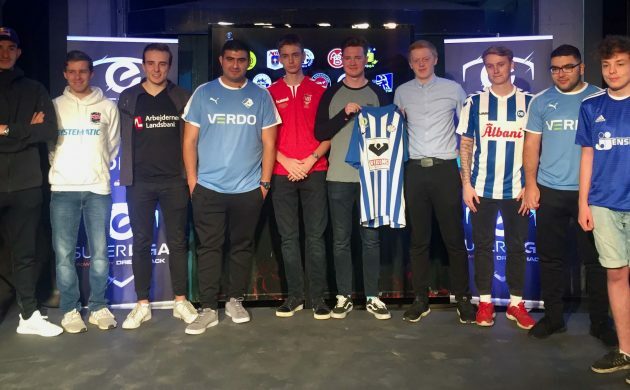 The new eSport league will kick off for the first time on November 5 and over the following seven weeks teams will compete to win the inaugural eSuperliga playing EA Sports FIFA 19. The league will consist of 16 clubs – 13 from the Superliga and three from the second tier 1 Division. A total of 120 games fixtures will be played over 15 gaming days. Every team will consist of at least two players and a coach. One of the players must have a professional eSport contract with the club, and the players must be at least 16 years old when the tournament starts. The tournament will be shown on Canal 9 and Dplay. The former FIFA world champion August ‘Agge’ Rosenmeier will represent FC Copenhagen.